European regulator ESMA is preparing to issue hundreds of pages of MiFID II cost-benefit analysis and Q&A material between now and July – but market participants are concerned about unresolved issues and rushed implementation as the deadline draws ever closer. Last week in Paris, ESMA held a public hearing on implementing technical standards. In addition to the 355 pages of MiFID II consultation which were discussed at the meeting, there will be a further 2,000 pages of consultation and CBA before MiFID II is finally implemented in 466 days’ time. But given the extremely tight deadline, some market participants questioned the practicality of issuing a cost-benefit analysis just months before implementation. According to PJ Di Giammarino, chief executive at regulatory think-tank JWG, the obligation to publish a full CBA is simply a legal requirement – but ideally one that should have been done much earlier in the process. “In an ideal world, it would have been done years ago, when the Parliament was still discussing the issues,” he said. 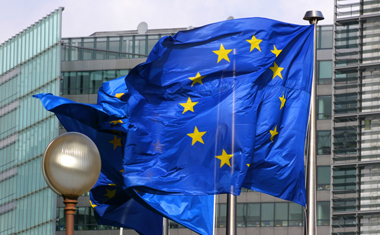 During the meeting last week, much of the discussion revolved around the lack of a common framework among EU member states for how to implement the requirements of MiFID II. For example, transaction reporting is done differently in 23 EU member countries. While MiFID II aims to harmonise that, some issues had to be referred back to the European Commission. Further complications arise from the difficulties of obtaining data, particularly in some of the more opaque non-equity asset classes. While some participants at the meeting volunteered to share their data with ESMA, the burden on the regulator will be substantial. Even some of the core elements of MiFID II are still being debated and defined, even at this late stage. For example, the directive aims to establish a European consolidated tape of post-trade data, available on a reasonable commercial basis. But according to Di Giammarino at JWG, there is as yet no agreement on how exactly a “reasonable commercial basis” should be defined. The implication, he believes, is that financial institutions cannot simply delegate their MiFID II compliance and forget about it. Instead they will have to stay tuned to the process all the way to completion in 2017. How is AI transforming financial institutions? Artificial intelligence is set to become central to the fabric of institutions.